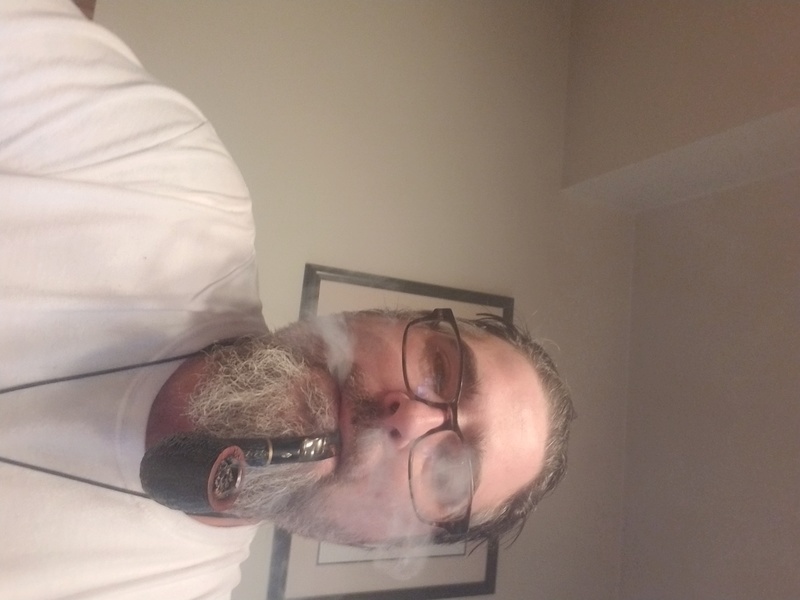 Last smoke of the day is Angler's Dream in a slight bend 1984 Stanwell Antique 124 grain etched with a smooth front with a black vulcanite stem. Listening to an interview with Andy Griffith. AJN #3... an excellent blend personally made by a member of this forum and was generously gifted to me. Must have used a superb Burley with a light sweet Latakia. It has an outstanding Rich Dark Chocolate note. Absolutely NO bite if pushed. Can be an all day smoke!! Good morning to you all from the sunny Athens-Greece with 21°C. GOOD MORNING SID, have a great week!!! 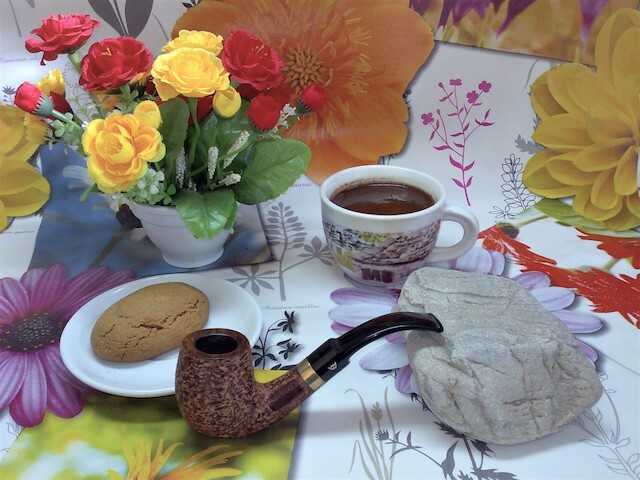 Got up early today and having a bowl of McC's 5100RC in my Tanshall finished Relief Grain Charatan SB Billiard I got back around '72. It was my first Charatan and loves Red Va's. Having a Chicory cup-a-Joe Nawlins style on the side. Perfect start to the day !! C&D Red Odessa bulk version, an absolutely smooth...sweet...tangy blend. Pipe of choice: Joh's smooth Brandy bowl with an oval shank and a wide slightly bent comfortable stem. About a quarter of a bowl left of Jim’s B Blend in a smooth 1998 Parker 489 three quarter bend Billiard with a black vulcanite stem. A bottle of Cheerwine made with pure cane sugar is my drink. Turned chilly this morning, but at least the sun is out. Pipe of choice: fully restored to mint condition my handmade/carved Webern Scoop pipe. A beautiful piece of briar which is also an excellent smoking pipe. Just finished smoking D&R Two Timer Gold in a smooth full bend 1977 Crown Coachman 215 egg with a black vulcanite stem. Now smoking RO Perique Series Blend P-37 in a smooth straight early 1960s Lane era Charatan Executive Extra Large stretch apple with diagonal channel cuts on the lower right and left of the bowl along with a black vulcanite double comfort stem. This pipe was formerly owned by actor William Conrad. Have enough for one more bowl. Pipe of choice: restored to mint condition…BBB Best Make Smooth Billiard Pipe. Now smoking Watch City Deluxe Crumb Cut in a 2016 Peretti's M.T. Natural made in Holland straight smooth brown Algerian briar billiard. Grandpa's Sweater in an Osage Orange warden, 18 inch stem. Paired with a jelly jar of fresh apple moonshine, and occasional bits of baker's chocolate.... Staring at the llamas, wondering where all the leaves went. Was I gone so long? OW, your back HOME????. MY CANDLE WORKED THAT FAST? Pipe of choice: MM General Pipe with a bent stem.